**This is a Depend sponsored post that you really need to read. So use those hashtags and SHARE SHARE SHARE please! The next thing you should know is that you can get a FREE product sample. Claim your free samples today by visiting the Depend landing page and clicking on the “Get a Sample” button located at the top right-hand side of the screen. Then, select which sample you would like to receive and wait for them to arrive. I know what you’re thinking. 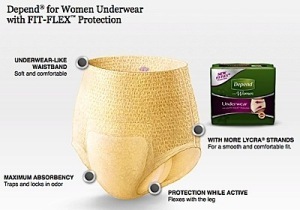 Depend under garments are for elderly people in nursing homes. 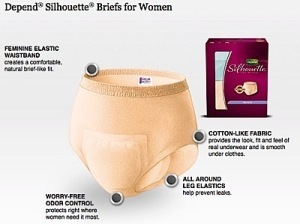 While that may be true, Depend under garments are also for anyone with a bladder leakage problem. Did you know that anyone at any age can have bladder leakage? Perhaps you have a favorite aunt who jokes about leaking when she laughs or coughs too hard. While it may not be a well known side effect bladder leakage does happen during pregnancy and after child birth. For some this may be a permanent condition. For others it may be temporary. I had a bladder problem after child birth. It was not fun and I did not want anyone to know. Mine did not last, thankfully. I wish I had known about Depend back then. Recent research using the standardized definition of any involuntary urine leakage, indicates that millions of adults, between the ages of 20-85 years old, in the United States may experience some symptoms. Over 65 million Americans experience bladder leakage and nearly half of them are under age 50. This translates to about 1 in 4 Americans that may experience bladder leakage. 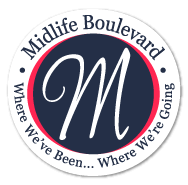 Bladder leakage is not a condition that just affects older adults, 22.9 million Americans under the age of 45 experience also have some bladder leakage. That’s approximately three times the population of New York City and eight times the population of Chicago. 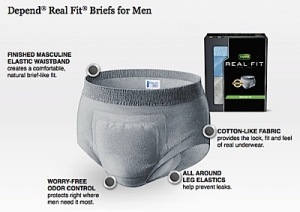 There are also misconceptions about ‘adult diapers’, like how people will know you are wearing them due to their bulk. Perhaps you think they are not for you because your problem is not that serious. 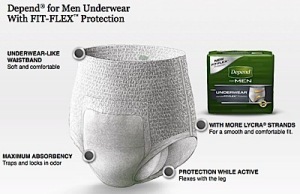 Depend has built a reputation around making under garments that provide protection while being undetectable. Whether you consider your problem minor or more serious, they have a product that is right for you. Not bad for what are considered ‘adult diapers’. They are both highly effective and discreet. We all know someone who has bladder leakage. We just may not know who they are. Let’s all help remove the stigma around bladder leakage by taking part in the #DropYourPants for #Underwareness campaign and share those photos. If I can do it, you can do it!